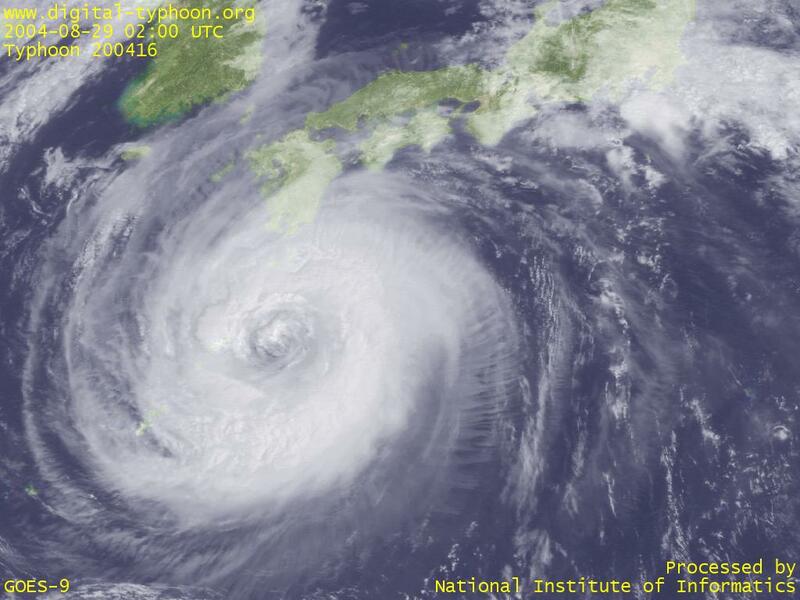 Typhoon CHABA made the second landfall around Tomakomai City in Hokkaido, and later downgraded into an extratropical cyclone yesterday. It seems that the typhoon dodged through that narrow Tsugaru Kaikyo (Strait) because there were no official announcements about landfall on Aomori Prefecture or the south of Hokkaido. It looks as though the typhoon touched on Tsugaru Hanto (Peninsula) from the typhoon track map, but there is a rule that a typhoon is said to be "passed" rather than "made landfall" when the typhoon just passed through a peninsula within a short time, so that rule might be applied in this case. Among disaster news reported from all around Japan, especially tragic is the damage in Setonaikai Area (Kagawa Pref. and Okayama Pref. in particular) by the storm surge and high tidal wave. 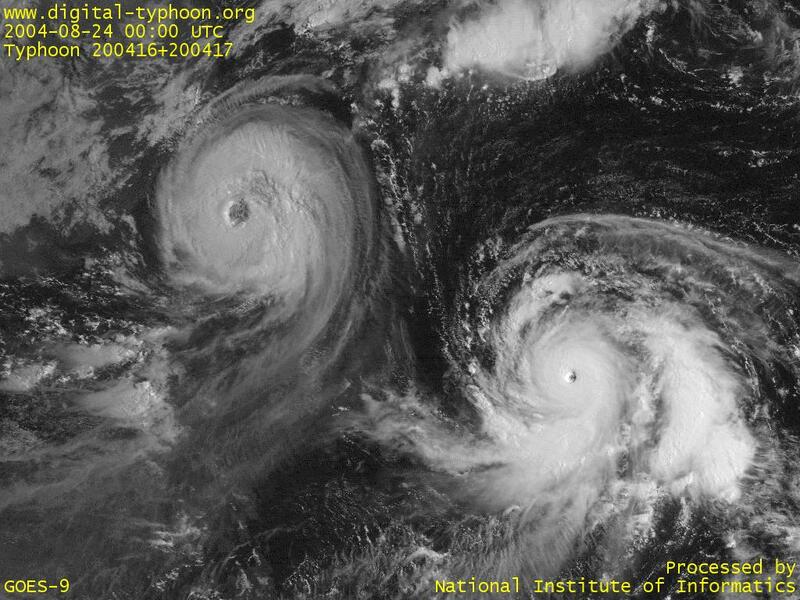 We had repeated early warnings about the tidal wave before the attack of the typhoon, but precautions might not be adequate partially because tidal waves are relatively unfamiliar and hard to imagine. At Shiranui village in Kumamoto Prefecture, where a tidal wave killed 12 people in 1999, people shared the fear of tidal waves from their experience, and they took every measure to avoid the damage this time, which turned out to be successful. 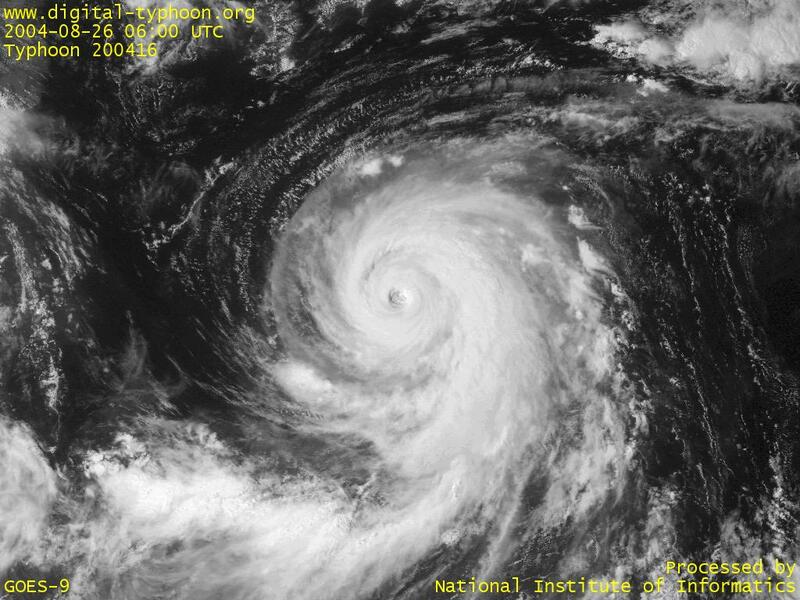 Typhoon CHABA seems to be a "windy" typhoon, which means that the damage of the typhoon is better characterized by strong winds than by heavy rains. 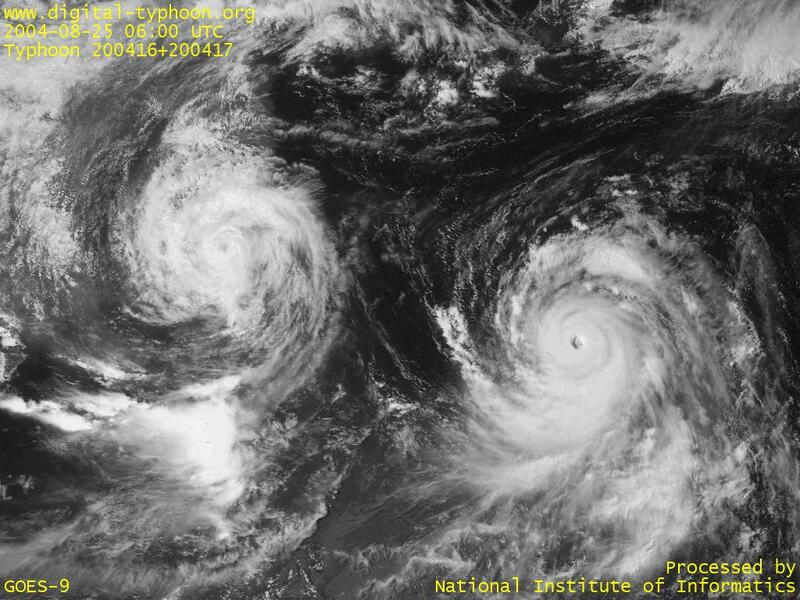 When a strong typhoon moves on a high speed, both wind from the spiral of the typhoon itself and wind from the movement of the typhoon are put together to produce a very strong wind on the right hand side of the track (which is called a "dangerous semicircle"). 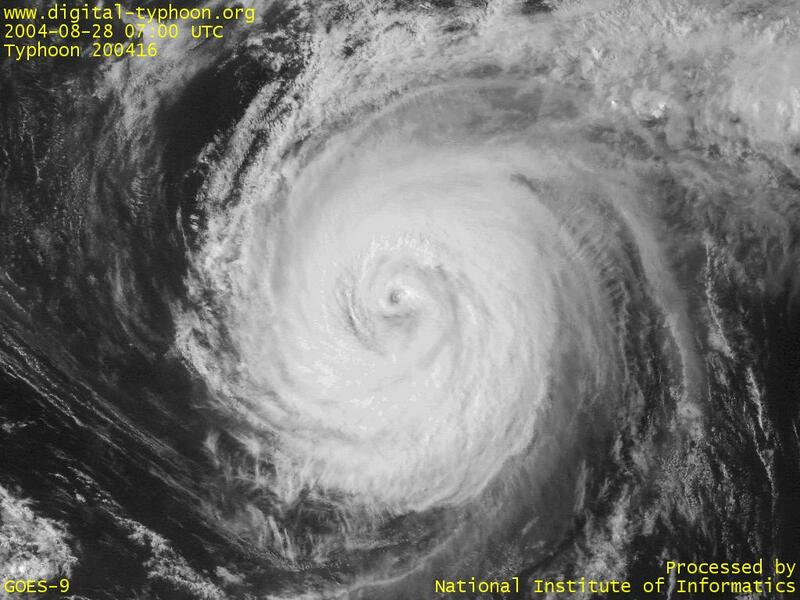 In the case of this typhoon, Miyazaki Prefecture, which was on the right hand side of the track, experienced very strong winds, and thereafter various places of Honshu observed strong winds due to the high-speed movement of the typhoon through the Sea of Japan. In Tokyo, since early morning, we have been feeling very strong winds typical of a typhoon (maximum gusts 34.9 m/s in Tokyo). 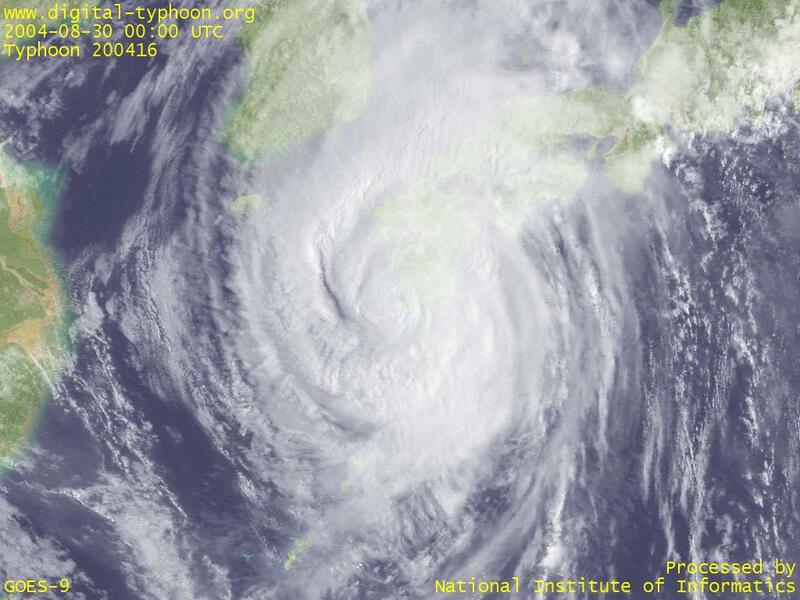 Typhoon CHABA made a landfall around Kushikino in Kagoshima Prefecture. 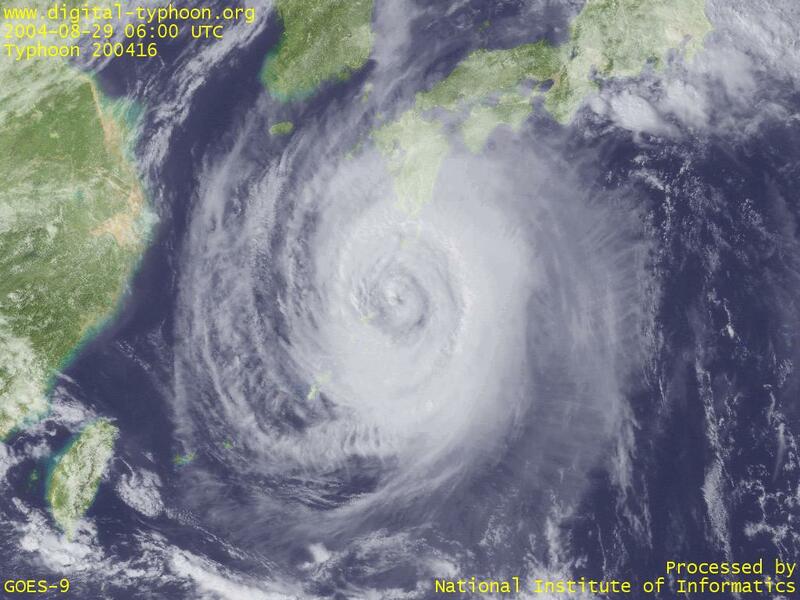 The size of the typhoon is so big that very strong winds and rains are observed even in distant places from the center. Typhoon CHABA is showing a complex movement in south of Kyushu. Now it is changing its direction from westward to northward, and the timing of its change of direction will affect the weather of places for the near future. Amami is now under the most severe weather, but from now on Yaku Island and the south of Kyushu will suffer from severe weather. By the way, in spite of the typhoon's complex movement, the track is really close to the one being forecast in advance. 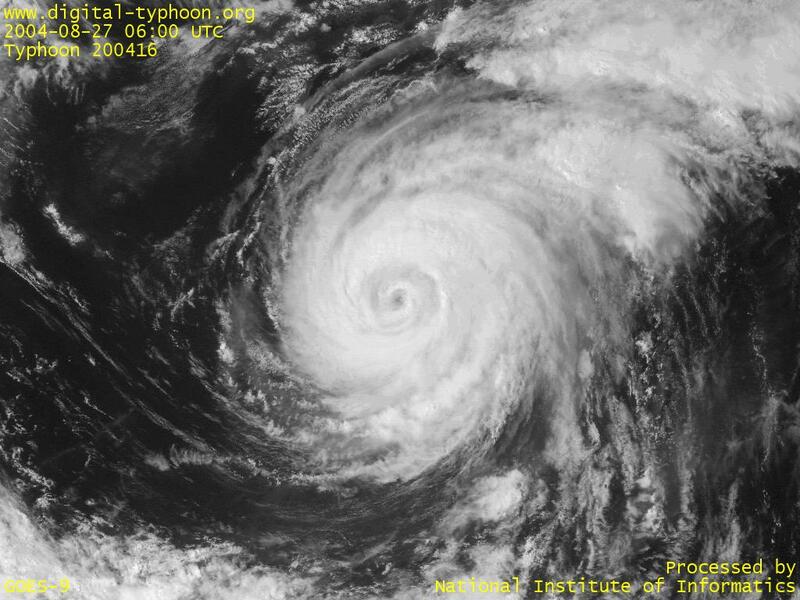 Typhoon CHABA is almost stationary in south of Japan. 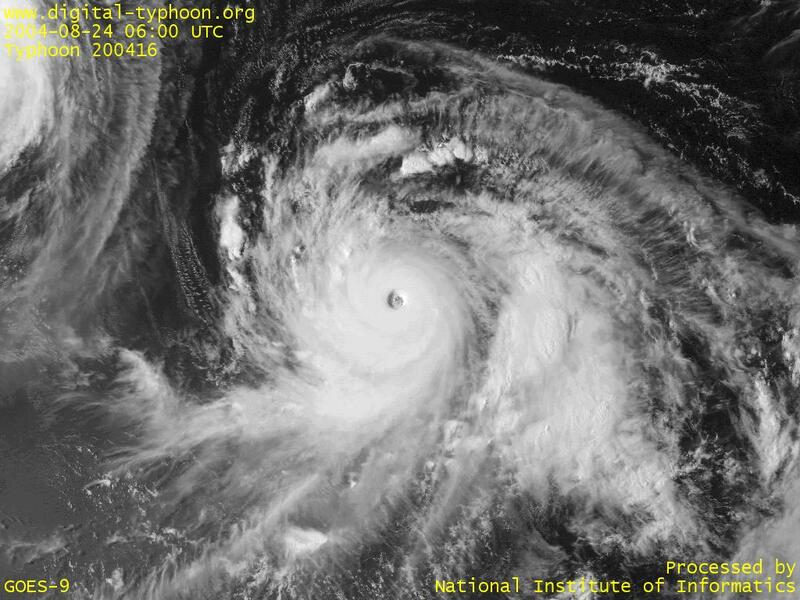 It is not expected to weaken in the near future, so once it starts moving, it will strike Japan with keeping its strong intensity. 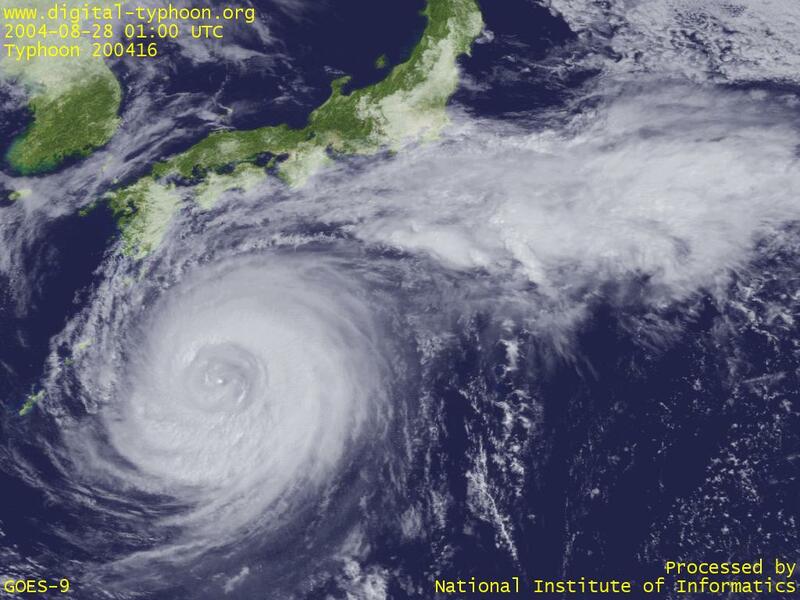 Typhoon CHABA is in south of Japan and slowly moving toward north. 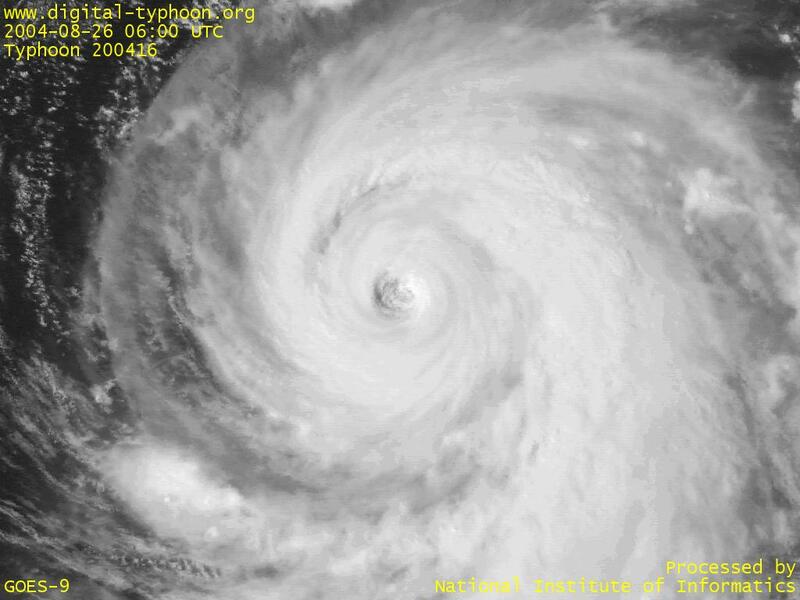 It seems that the intensity of Typhoon CHABA has peaked out, but its weakening is expected to be slow and Okinawa and Amami will begin to feel the effect of the typhoon tomorrow. 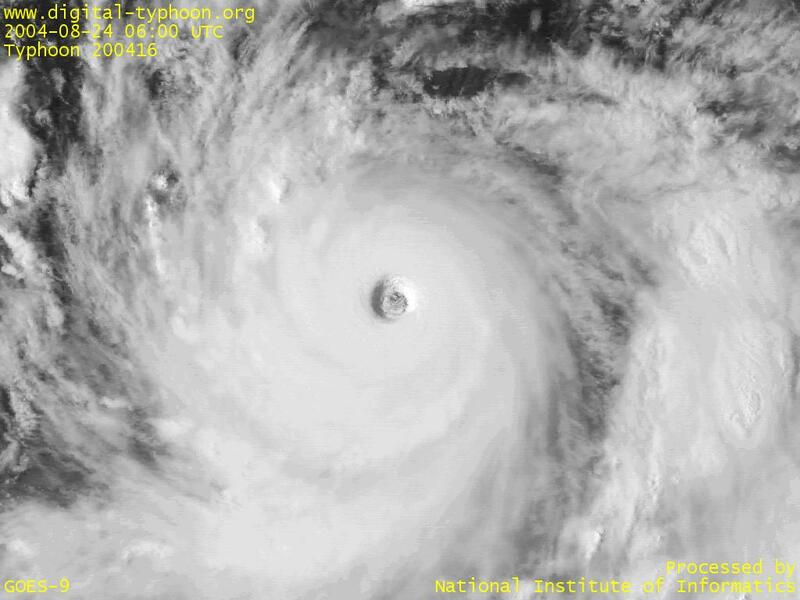 Typhoon CHABA is still keeping its intensity. 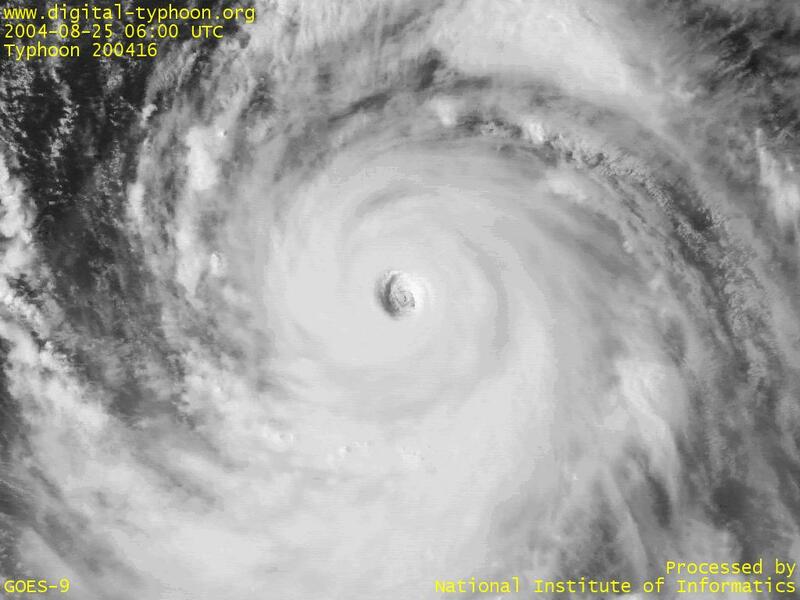 Typhoon CHABA has became a mature typhoon with its eye clearly visible. 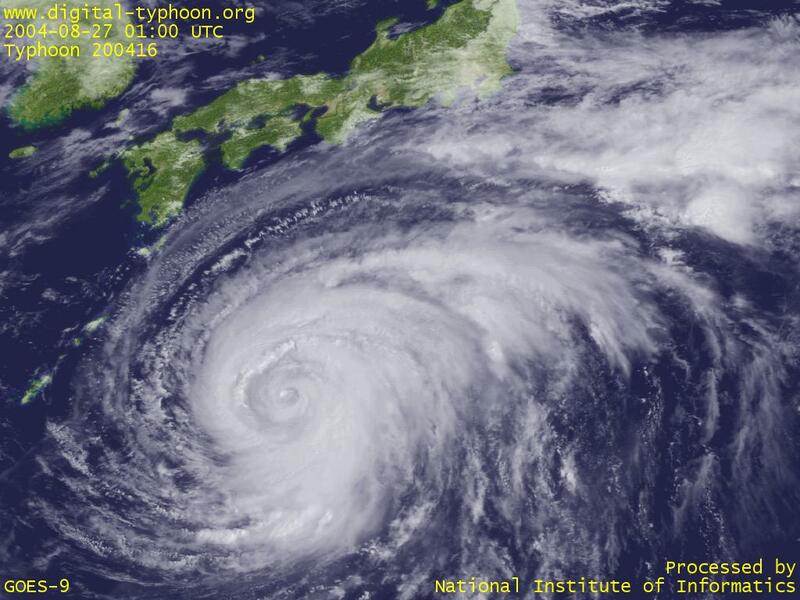 According to the forecasts, this typhoon will maintain its very strong intensity for the time being. 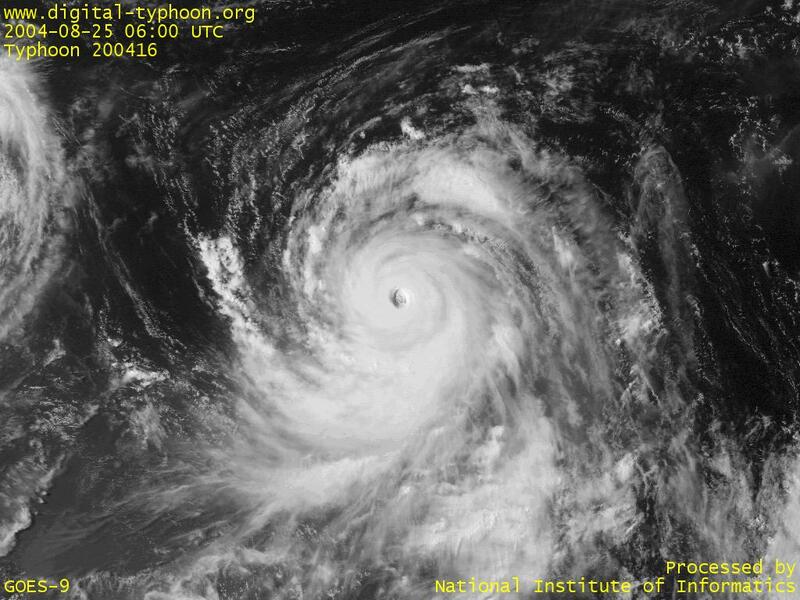 Typhoon CHABA has passed near the island of Rota, between Saipan and Guam. 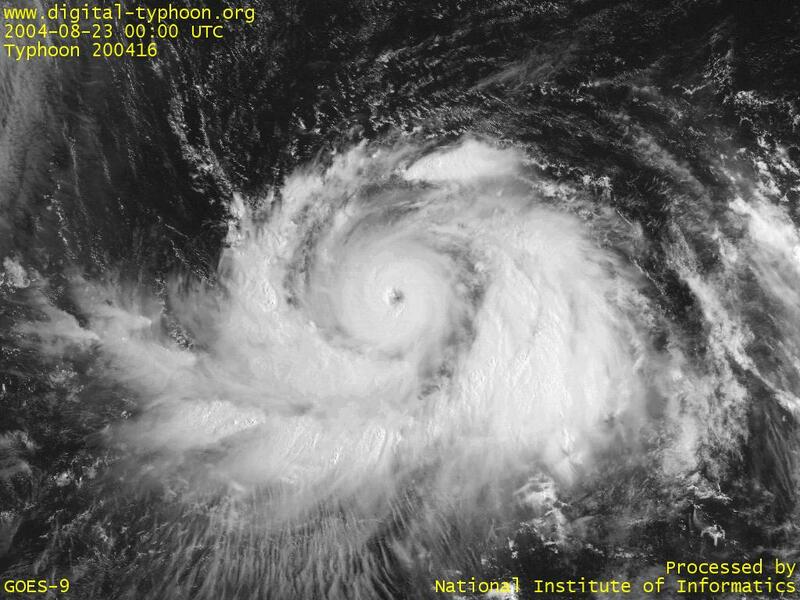 The typhoon has intensified so rapidly yesterday that Northern Mariana islands are estimated to suffer from the destructive damage of the typhoon. 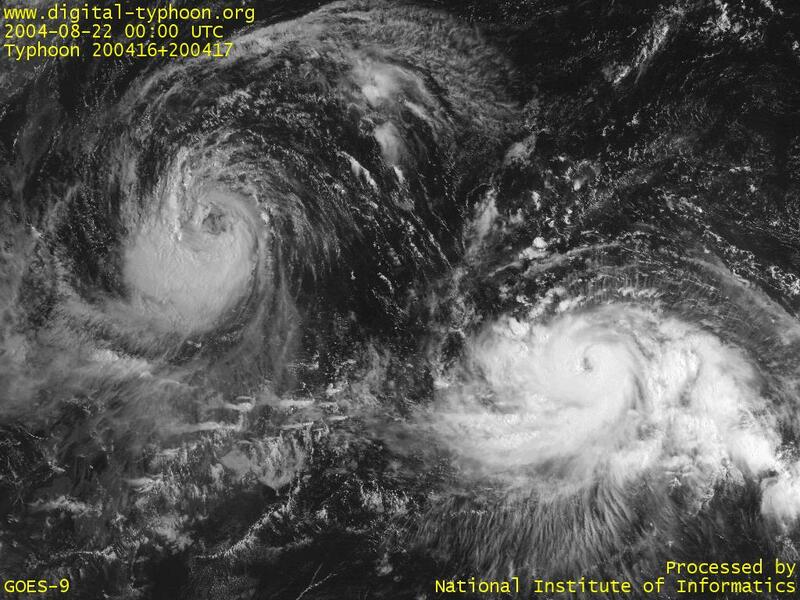 It is reported that the maximmum winds of 130 knots (=65m/s) with gusts 150 knots (=75m/s) was observed at Saipan. 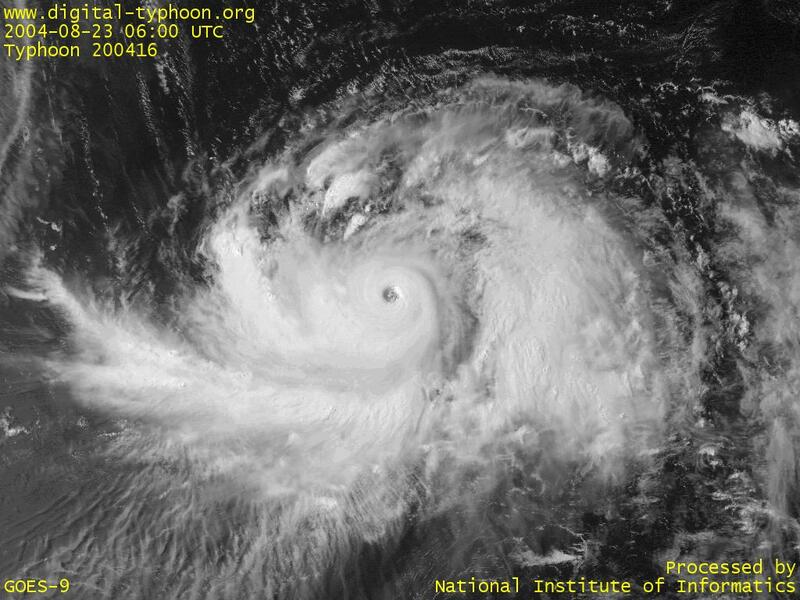 Typhoon CHABA is rapidly intensifying and moving toward Saipan Islands. 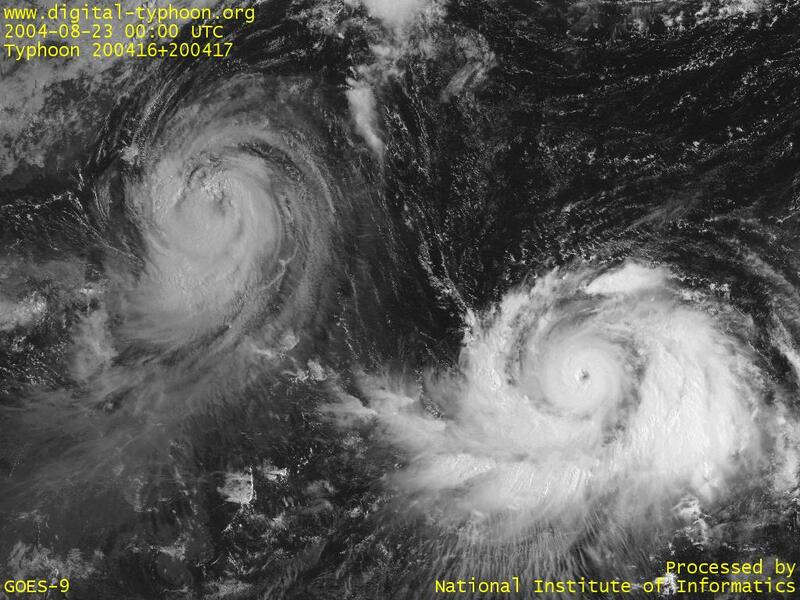 In the Pacific Ocean, there are two typhoons, Typhoon CHABA and Typhoon AERE. 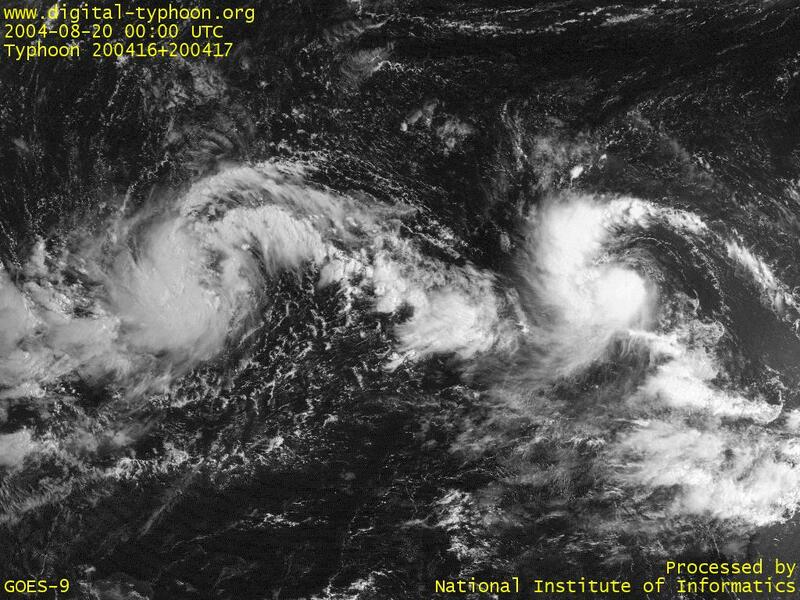 Two typhoons are intensifying along similar trends, and their distance is getting shorter with monving westward. 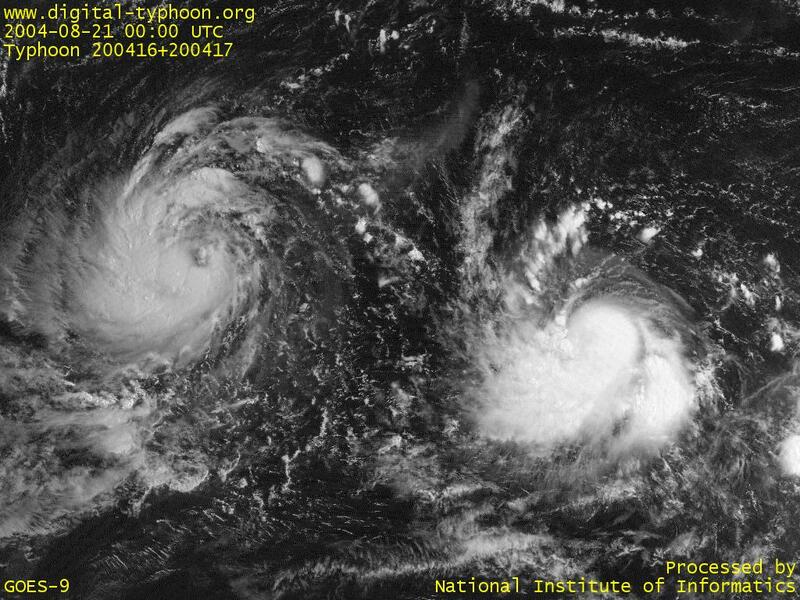 The forecast says they keep developing for the time being, so the evolution of two typhoons needs to be watched. 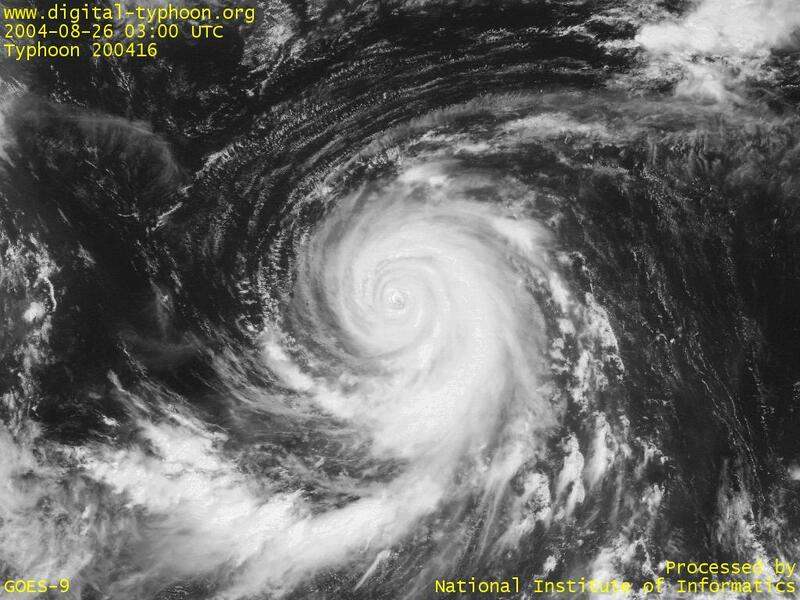 In west of Typhoon CHABA, Typhoon AERE was born. 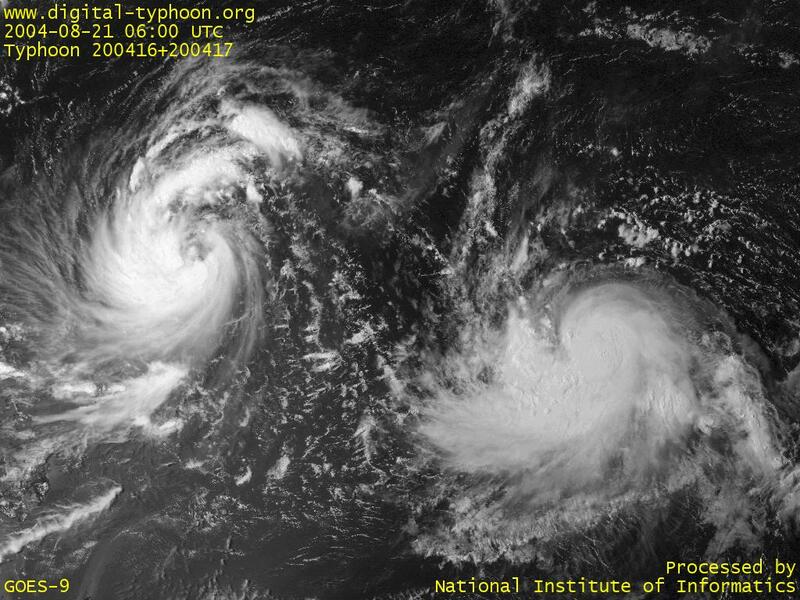 The forecast of track and intensification of these two typhoons should be paid attention. 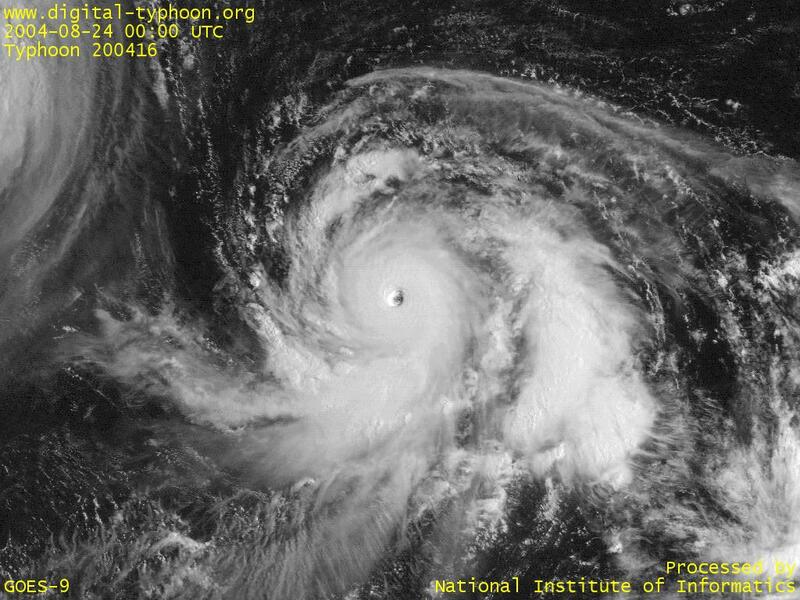 Typhoon CHABA was born in Marshall Islands. 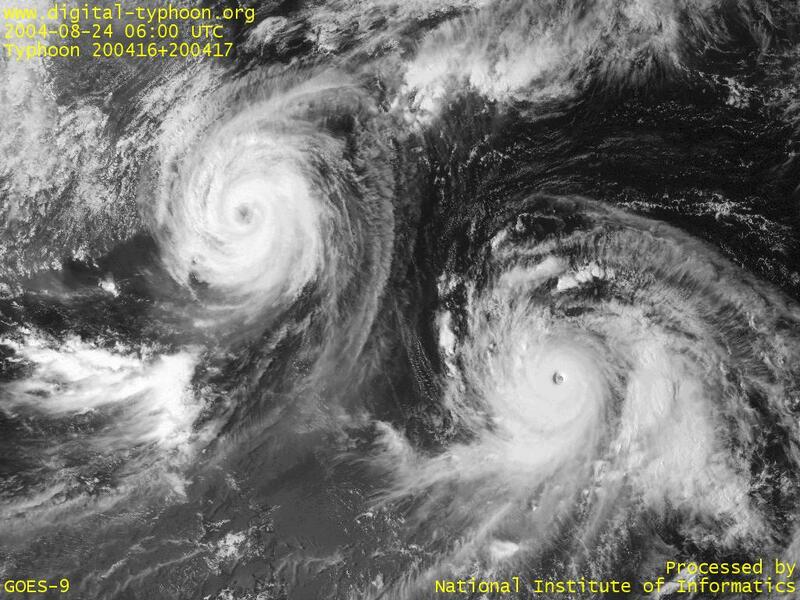 Satellite images of Typhoon CHABA by NASA.